Until recently, I have always walked my dogs on flat collars. It’s just what you do right? 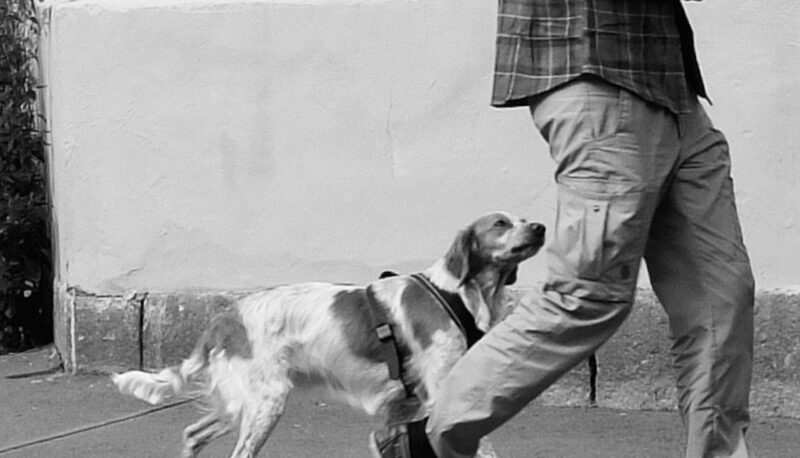 Teach your dog to walk nicely on a collar. It’s the conventional wisdom that few of us rarely stop to question as to whether it might be the best thing for our dogs’ wellbeing. As a professional dog trainer, I’ve often discouraged the use of harnesses as many are actually designed to trigger a dog’s opposition reflex, promoting further pulling and lunging. The exception has been where I’ve suggested handlers use a “no-pull” harness to gain better control of strong, exuberant dogs – probably more for their benefit than the dogs if the truth be told. I actually still agree that both these things can be true, but I have changed my views that collars should be the default preference to use for walking our dogs. 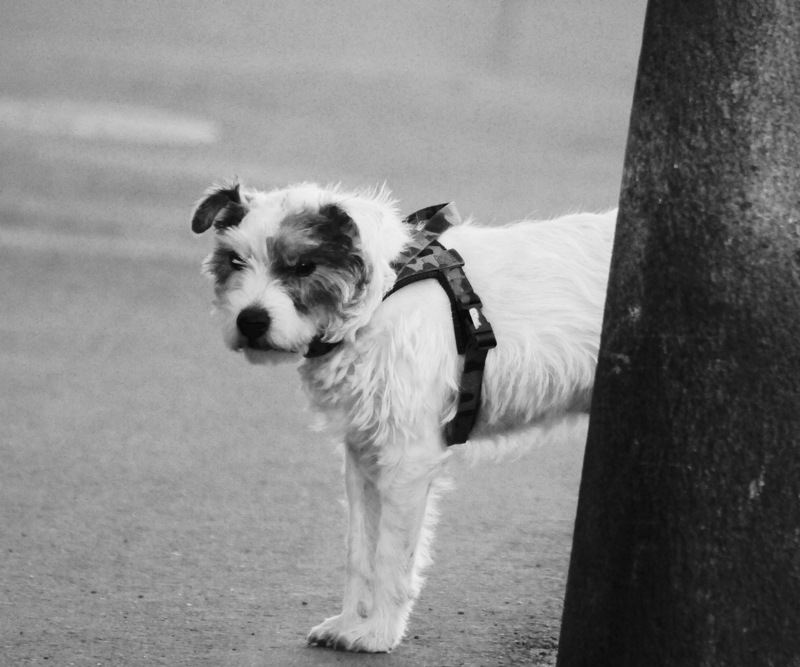 On a recent trip to Scandinavia, I was struck by an observation that most of the dogs I came across (I’m always tuned to spotting dogs on my travels!) walked on harnesses rather than collars. I’m not sure whether that’s statistically the case or if it is, why that would be so. But it certainly piqued my interest enough to start digging a little deeper and challenge my preconceptions about collars and harnesses. 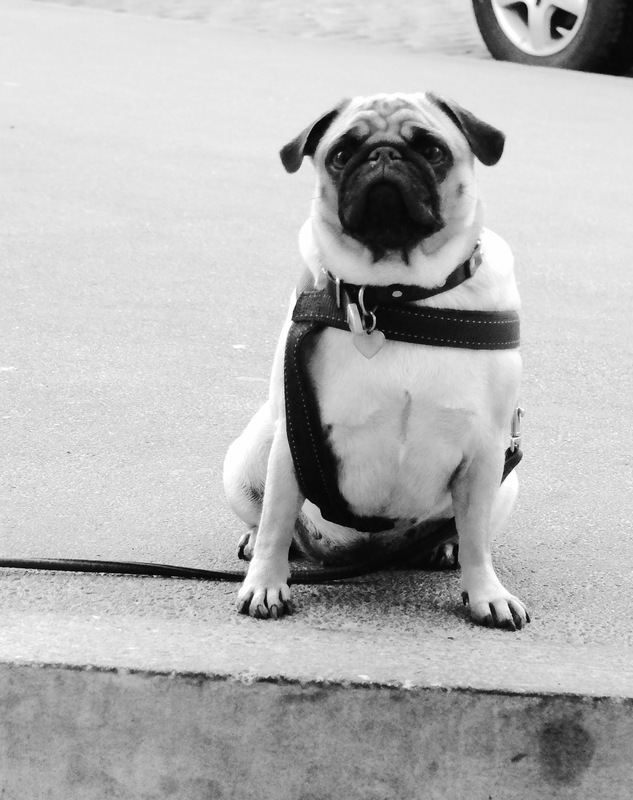 Scandi dogs – a culture of harness loving doggie guardians? Mosaic from Ancient Roman period depicting dog collar and tether. 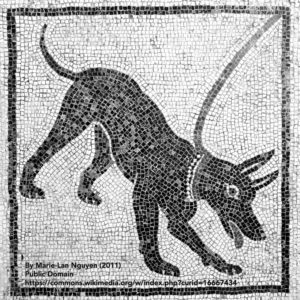 So a very basic peruse of dog domestication history suggests that collars and harnesses are by no means recent inventions. Some of the earliest records suggest the collar was commonly used in Mesopotamia and Egypt more than 5,000 years ago, depicted often in ancient artefacts. 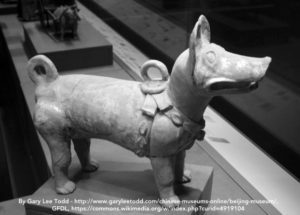 The collars were used primarily to identify and adorn ancient canines, but they were also a way to tether and control dogs. It would from Chinese artefacts that harnesses were also regularly used, particularly on smaller breeds. Both collars and harnesses still prevail today, many not too different in their fundamental design to their ancient versions. But the way we live with our dogs in modern times and our knowledge of animal health has evolved, and there are indications that perhaps these ancient tools are not necessarily best choice for many of our pets. In more recent times there has been plenty of controversy and passionate debate about the effects or otherwise of more punitive based collar devices, such as check-chain, prong and electronic collars. I won’t add to the discussion here, other than to say that I do not support the use of these tools for a wide range of reasons. But what about the seemingly innocuous plain old flat collar? Could it have the potential to do harm to your dog’s health? 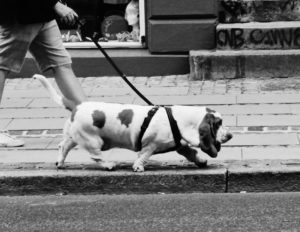 There’s a spattering of studies and quite a bit of anecdotal information available that suggests it could have direct and indirect impacts on our dog’s physical and behavioural wellbeing when used for walks or tethering, particularly for smaller dogs or those with more delicate frames. A study conducted in 2006 (Journal of the American Animal Hospital Association) found that fluid pressure in the dog’s eye increased significantly when pressure was applied by a collar compared with a harness. 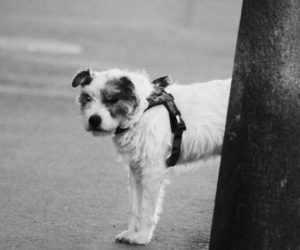 The study recommended that dogs with weak or thin corneas or other eye conditions would be better off wearing a harness instead of a collar, especially during exercise or activity. Another potential problem is the pressure collars can place on the thyroid gland, particularly on dogs that pull severely. If you look at the position of the thyroid gland on a dog, it is right in line with a collar. Sudden jerks and heavy pulling can exert a high degree of force on those glands, which holistic vets Peter Dobias and Jean Dodds both suspect can be a contributing factor to hypothyroidism in dogs. 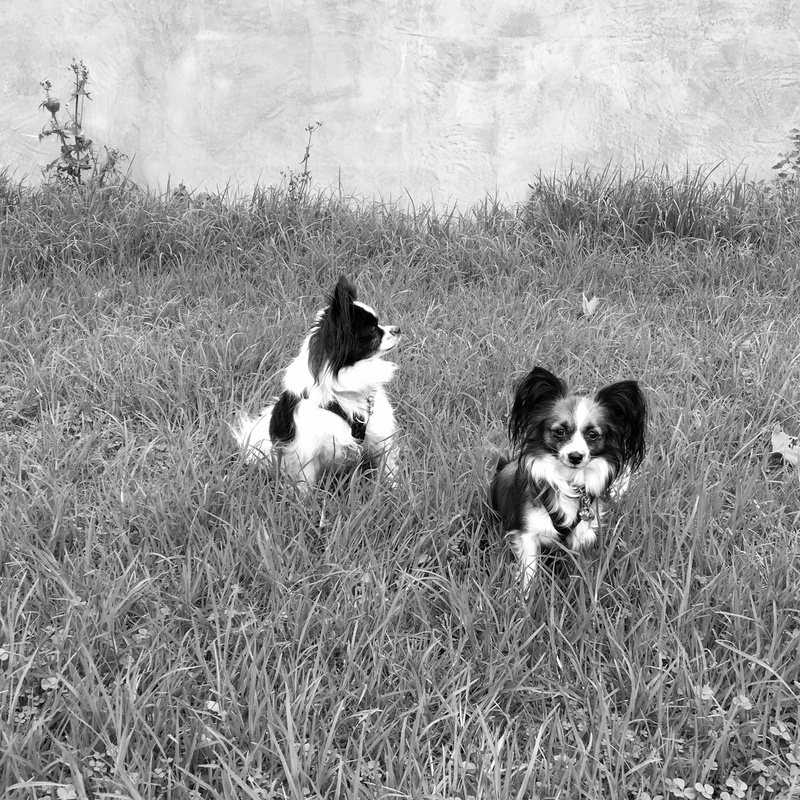 Harsh collar pulling can also exacerbate the effects of tracheal collapse, particularly in small and toy dogs. Back and spinal issues could be another consequence of walking or tethering with collars for dogs that lunge and pull – made even worse with retractable leads. A study conducted by Swedish canine behaviourist Anders Hallgren (perhaps the basis for my observation of Scandinavian preferences for harnesses????) found that in a normal population of 400 dogs, 63% had some sort of defect (as defined by chiropractors cooperating in the study), which were correlated to bad behaviours. 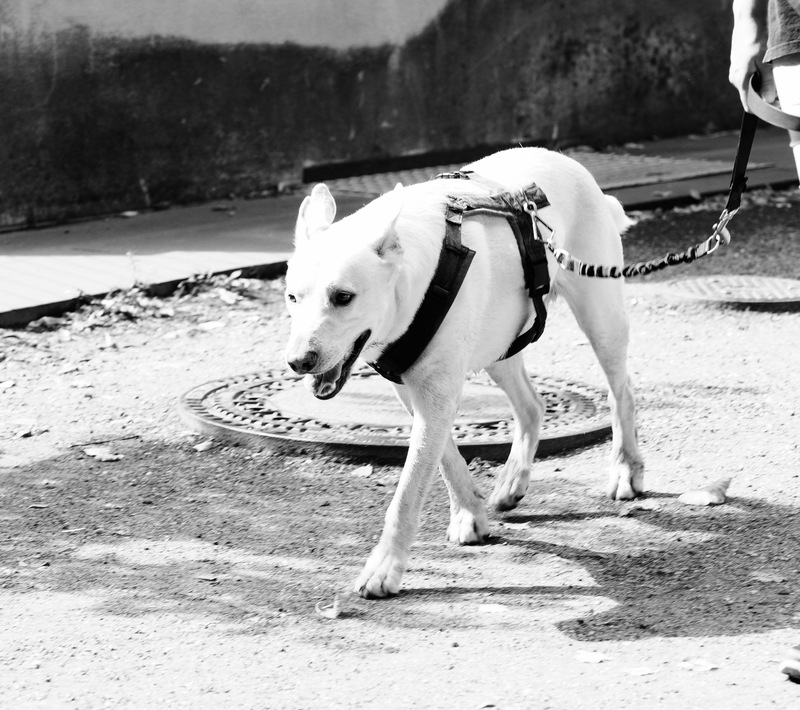 Hallgren’s review found that 91% of the dogs with neck injuries were hard leash pullers. While these are limited studies and professional anecdotes, I think they are worthy of further study and have been enough for me to err on the side of caution with my own dogs, particularly as toy breeds, and switch them to a harness for walking. Of course, nothing beats training and teaching your dog to not pull on the lead at all as a part of the deal, but if for any reason they end up receiving an unanticipated leash pull, I’m more confident that it will minimise potential harm to them. Rupert and Leila in their new harnesses. My dogs of course still wear their collars for displaying their local council registration and I still think they are a really valuable and quick way to locate owners of lost pooches to complement micro-chip identification. And much like the ancient dog owners of Egypt, who doesn’t love a bit of doggie bling now and then to show off your canine’s style! I also think there may be times when your dog may need to be temporarily tethered or walked on their collar, so it is still important to work gently with your dog from as early as possible to teach them to not pull against collar tension. A future article on that to come…..
Not all harnesses are created equal! I need to qualify here that while I am generally a huge fan, harnesses too can absolutely have drawbacks. The key is to minimise these and know what to look for….a comprehensive topic in itself that I will cover in my next article in the search for the holy harness! My final caveat for this article is that dogs and their owners are of course individuals. While I believe that the right harness for the right dog and owner will better serve the long term wellbeing of dogs in most instances, there will always be exceptions and other options where this is not the case. My goal is here is to encourage you to explore as I did whether the option you currently have is potentially serving your dog’s long term wellness. Pauli, A et al, “Effects of the application of neck pressure by a collar or harness on intraocular pressure in dogs”, Journal of the American Animal Hospital Association. 2006 May-Jun;42(3):207-11. Grainger, J., “The behavioral effects of walking on a collar and harness in domestic dogs (Canis familiaris)”, The Journal of Veterinary Behavior”, July–August, (2016), Volume 14, Pages 60–64. Hallgren, A (2012) “Back Problems in Dogs – Underlying causes for behavioral problems” A Research report by Anders Hallgren, Animal Behaviorist, Psychologist, MSc, Dogma. Schilder, J & van der Borg, J, “Training dogs with help of the shock collar: short and long term behavioural effects”, Applied Animal Behaviour Science 85 (2004) 319–334.